Research has suggested that many asthma sufferers in the UK underestimate their risk of experiencing a serious attack which would lead to them spending time in hospital. 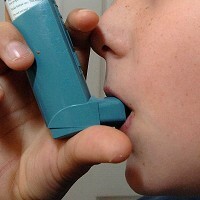 More than half of Britons with asthma symptoms think they are immune from an increased risk of a dangerous attack, according to Asthma UK's Triple A: Avoid Asthma Attacks Test. But the research also found that 93% of asthma sufferers actually have an increased risk of suffering an attack significant enough to put them in hospital. The findings come as many Britons will be preparing for holidays abroad, and those with asthma are well-advised to consider the purchase of pre-existing medical travel insurance before jetting off. People can log on to Asthma UK's website and take the test, which is designed to highlight the fact that asthma sufferers are at risk of an attack even if they display no symptoms. It also offers tips for reducing the risk of an attack.